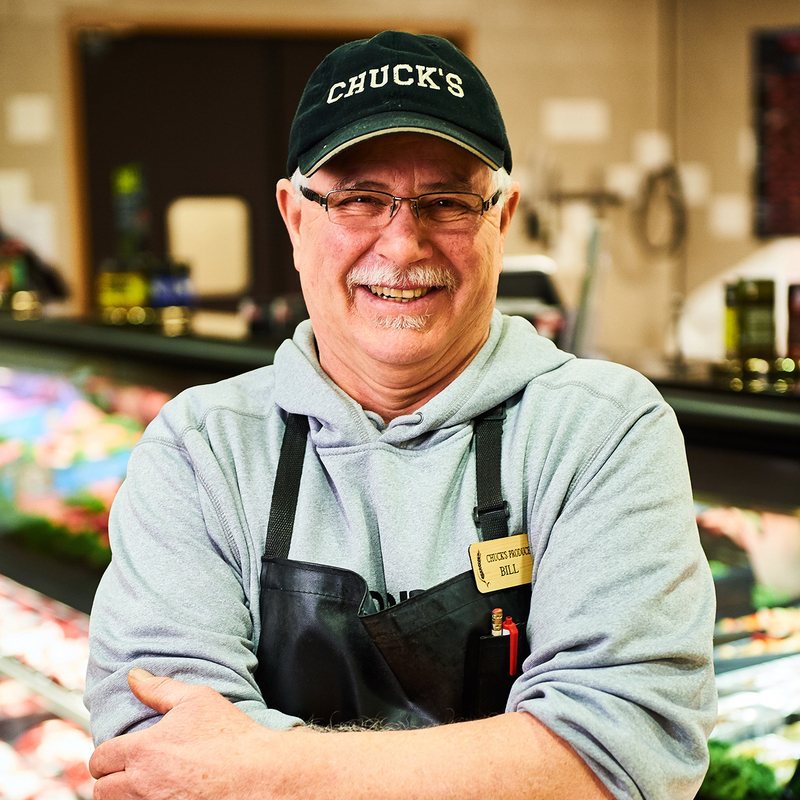 Inside Chuck’s you will find many things, one of which is the convenience of a full service meat department. 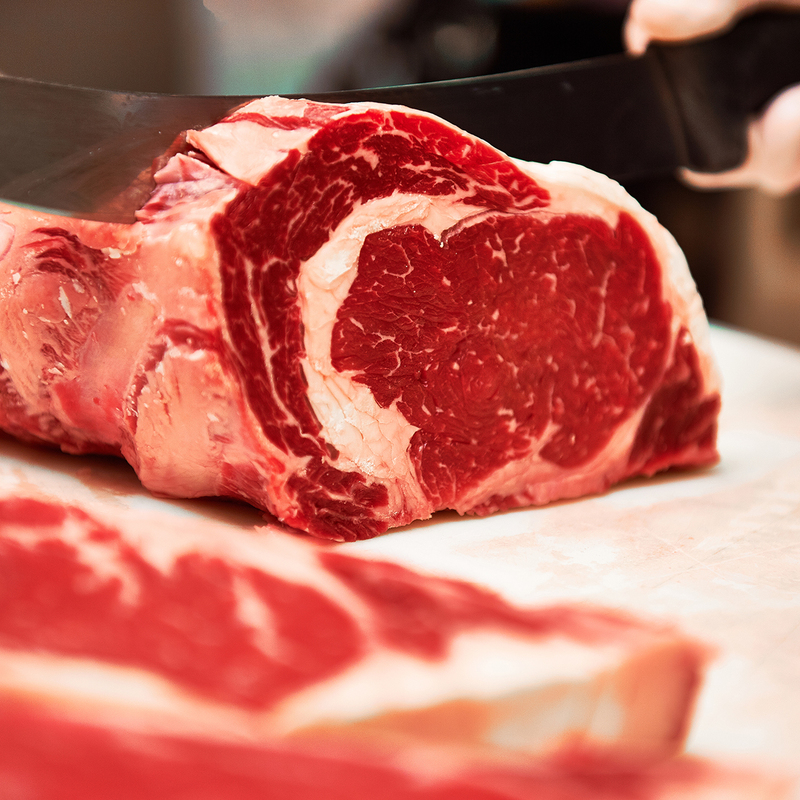 We carry grass fed and choice grade meats, in a variety of cuts. 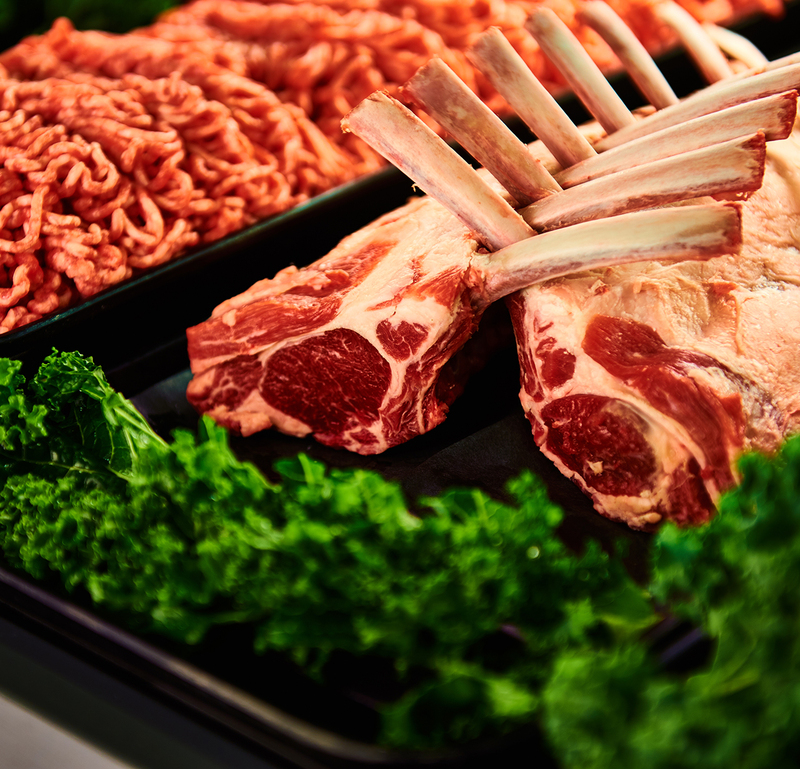 Our meat staff is always happy to share their knowledge as well as meat cut specific to your order. We also carry a variety of ready to cook entrees in our specialty section, for those hectic days when you don’t have time to prepare something yourself. 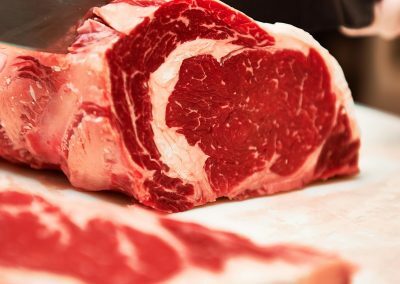 Our quality meat is raised in a clean fashion, not with the use of antibiotics or growth hormones. We believe in freshness and quality. 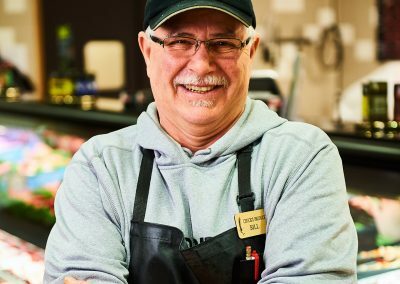 Our meat department works hard to provide you with a wide selection of local and unique meat as well. 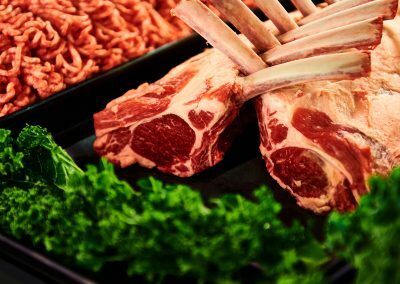 Whether it is grass fed beef, a fine rack of lamb or anything in between, you can be sure that at Chuck’s you will always find meat that is fresh and makes a great addition to your meal! 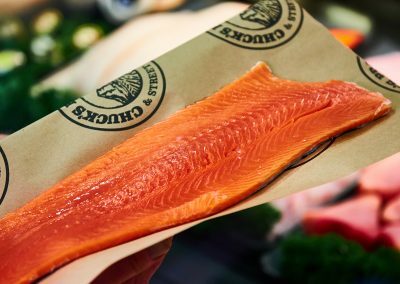 In addition to our full service meat department, Chuck’s offers an assortment of top quality fish. 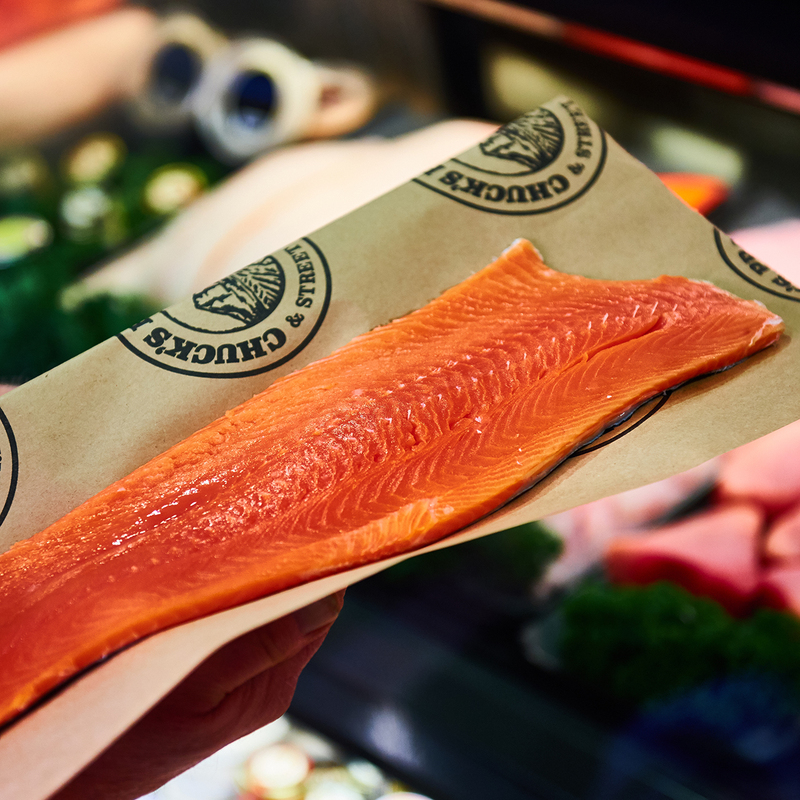 We strive to bring you a superior selection of fish, which means you will always see a nice collection of wild caught fish – never from a fish farm. Come in and check out the selection.